Our RCA-type composite cables are suitable for high-quality digital audio (SPDIF), sub-woofer, or composite video applications. Available with, or without 2-wire RCA audio bundle. 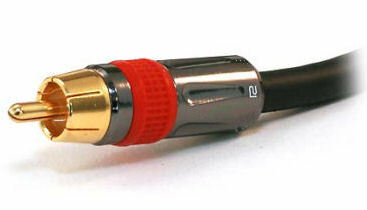 Our 2 wire RCA/Component cables are suitable where a premium component quality analog audio signal is needed. Perfect for connecting receivers, subwoofers, and analog sources. 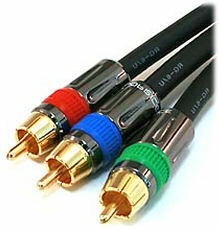 Our 3 wire RCA/Component cables are suitable where a premium component quality video signal is needed. 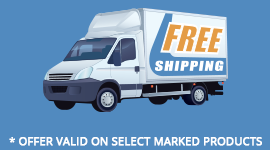 Perfect for DVD players and older cable/satellite boxes.